Made of ultra-comfortable, polyester material that stretches and adjusts to wrist size. Features custom full-colour dye-sublimation printing on inside and outside of band, transforming every guest's wrist into a mini billboard. Wristband is removable, re-usable, and water-proof, making it ideal for multi-day use or season pass programs. 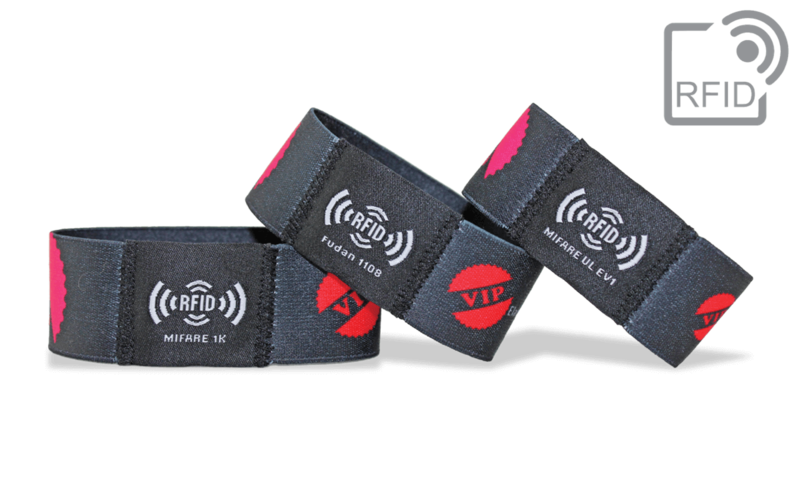 PDC BIG's latest innovation in RFID wristband technology ! PDC Smart® Stretch wristbands are made of ultra-comfortable, stretchy polyester material with RFID tag inside to reliably store and transfer data. Waterproof and durable for long lasting use.